The fashion industry slays, literally. In the world of Zoolander, fashion big shots are doing all kinds of underhanded schemes to retain their business strongholds and that includes political killings. Mugatu was the mastermind behind Derek Zoolander’s brainwashing and it would’ve been a success if not for other meddling people. Mugatu is definitely high fashion and prefers everything to be custom-made for him. He wears a gray sweater with black details and his name in bold letters across his chest. He also has on a pair of black pants and black shoes. 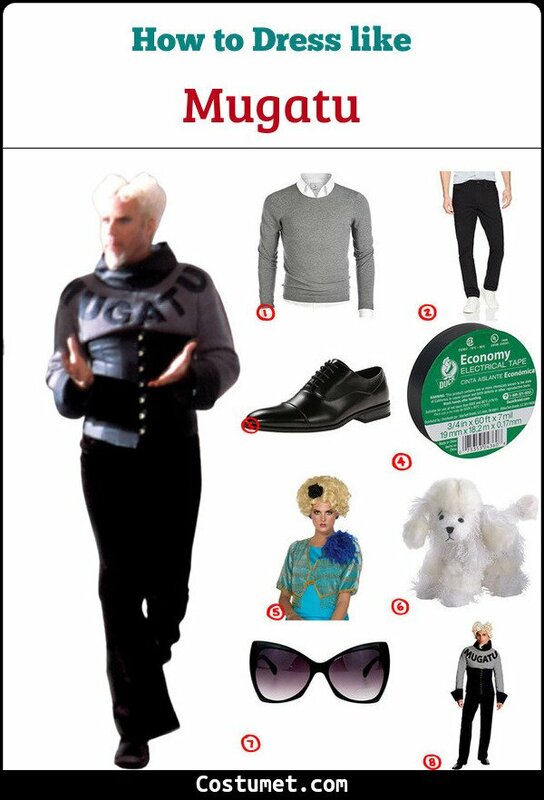 Here’s everything you need to look like Mugatu. 1 Light Gray Sweater Mugatu wears a gray sweater with a waist trainer detail on the bottom and a black infinity scarf-like collar. 2 Black Pants Pair your custom-made sweater with a good pair of black pants. 3 Black Oxfords Black Oxfords can never go out of style. 5 Blonde Wig Get Mugatu’s unconventional hairstyle by wearing a curly blonde wig. 6 Poodle Plushie Mugatu always brings along his pet poodle so you should, too. 7 Oversized Black Glasses Be extra fashionable and wear an oversized pair of black sunglasses. 8 Costume Set If you don’t want to DIY, then just get this costume set. Jacobim Mugatu was played by Will Ferrell in both Zoolander and Zoolander 2. Just like his last name, Ron Burgundy's signature outfit is a burgundy suit with a brown necktie. His hair and mustache speaks a volume of the 70s period.